Dyne Testing Ltd is the UK distributor for the Attension range of Optical Tensiometers manufactured by Biolin Scientific. The core of Attension solutions is a combination of easy-to-use, smart instrumentation with broad surface science capabilities. Contact Angle Meters are used for the determination of wetting characteristics of solid materials. Contact angle meters (also known as optical tensiometers or goniometers) allow direct measurements of surface tension, interfacial tension and contact angles. 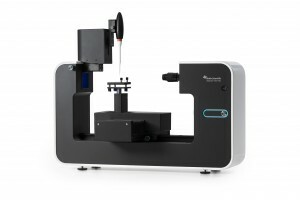 Contact angle is an extremely versatile technique used for characterization of both liquids and solids. The Contact Angle Meter (optical tensiometer) is an ideal industrial or academic tool for product development engineers, R & D engineers who need precision and repeatability. Contact angle measurement combines high technology test instrumentation and a non-destructive testing method to allow an accurate, objective and repeatable analysis to be made. Using the contact angle meter you can compare the effects of a range of surface treatments and gather data that correlates to various surface conditions e.g. lubricity, wettability, surface energy etc. The equipment captures drop images and automatically analyses the drop shape as a function of time. The drop shape is function of surface tension of liquid, gravity and the density difference between sample liquid and surrounding medium. On a solid the liquid forms a drop with a contact angle that also depends on the solid’s surface free energy. The captured image is analysed with a drop profile fitting method in order to determine contact angle and surface tension. 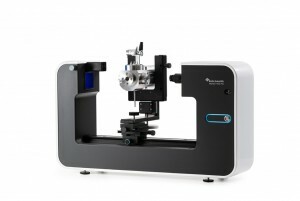 The Attension ® Theta Flex Optical Tensiometer and Thetalite Optical Tensiometer are easy to use, offer highly repeatable QC and are an analytical tool for measuring the contact angle on a variety of substrates. The Portable Contact Angle Meter is a hand-held non-destructive portable contact angle meter for quantifying levels of surface preparation from the lab to the factory floor. For more information on contact angle, click on one of the products below or view the complete range via the following link. Theta Flex one contact angle meter for all measurement needs. Measures static and dynamic contact angle, surface free energy, surface and interfacial tension, 3D surface roughness and interfacial rheology. 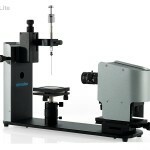 ThetaLite compact and accurate contact angle meter for simple measurements of contact angle and surface free energy. It also measures surface and interfacial tension. 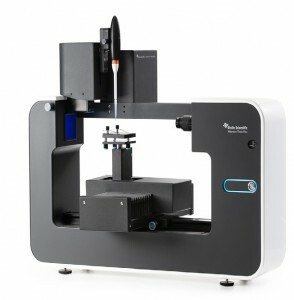 Theta 3D Topography Innovative system capable of separating the effect of surface roughness to the contact angle result. As a result, roughness corrected contact angles can be better compared with each other. Theta High Pressure convenient interfacial tension and contact angle measurements at high pressures and temperatures. Developed to meet the needs in enhanced oil recovery research. 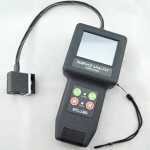 Portable Contact Angle Meter hand-held non-destructive portable contact angle meter for quantifying levels of surface preparation from the lab to the factory floor. Here you can find information about the following standards.